During some research on PLGA microspheres we found this interesting article published in European Cells and Materials Vol 7 Suppl 2. 2004 (pages 11-12). 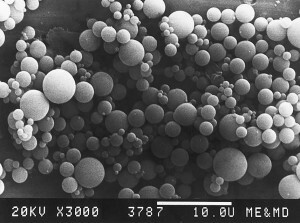 They were able to achieve a significant change in the zeta potential of their microspheres just by increasing the dosage of Chitosan. The authors conclusions and a graph of their data follow.